WC-2500: Wall Charger for the Uniden-Bearcat BP-2500 and Batteries America BP-2500 battery packs. (These batteries fit the BC-2500XLT, 3000XLT, and 3500XLT radios). Charges NiCd in 12 hrs; charges NiMH in 24 hrs. Plugs right into side of battery pack. Input: 110-120VAC@60Hz; output: 12VDC @ 120mA (actual net charging rate is about 70mA/hr, due to circuitry inside the battery pack. Center hole polarity = POSITIVE +. The BP-2500i is a 6.0 volt 600mAh Ni-Cad rechargeable replacement insert for Uniden BP-2500 battery packs. 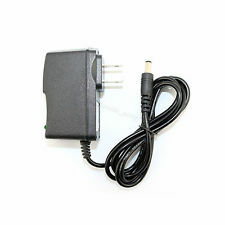 Disassemble your battery pack, and with 2 solder connections, this insert can be easily put into place. BP-2500xhi: 6.0 volt 1500mAh Ni-MH battery insert for Uniden BP-2500 battery packs. Restores and improves original battery. BP-2500 pack must be opened, and this insert needs only 2 soldered connections for proper installation. BP-2500x : 6 volt 1100mAh Ni-MH LONG LIFE replacement insert for Uniden BP-2500 pack.